"We are 'insaan' first, Hindus, Muslims or Christians later", she said. Mamata Banerjee said no one will be allowed to create division among people. 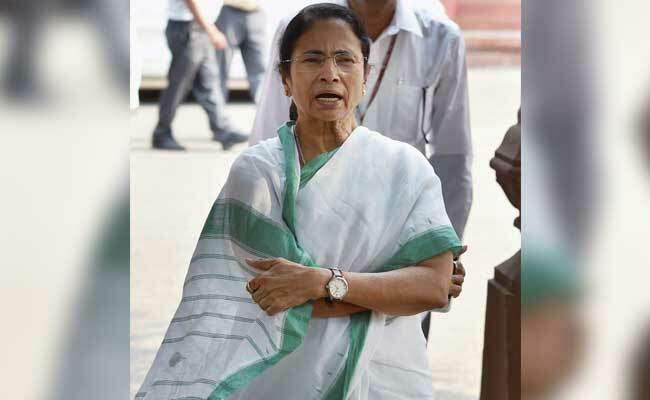 Kolkata: West Bengal Chief Minister Mamata Banerjee today said that attempts were being made to create an "atmosphere of intolerance" in the country and urged the people to stand united. In a message on the occasion of Eid-ul-Fitr, she said no one will be allowed to create division among people. "There are times when one has to show courage and conviction. Attempts are being made to create an atmosphere of intolerance. We believe we are united; we are for all. We are 'insaan' first, Hindus, Muslims or Christians later", she said. "We work for all, whether they are Hindus, Muslims, Christians, Sikhs or Jains", she said. "We will keep defending humanity as long as we are alive. We will not allow anyone to create any division between people. We all stand united. No one can break us. We are for all and we fight for all", Ms Banerjee said. The chief minister said there was a need to maintain harmony. "I pray for the good and health and well-being of everyone", she said.